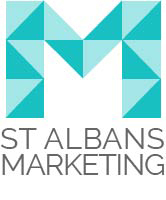 For the past few months we’ve been working with a great local business, Enhanced Optical Services of St Albans. Owner John Snelgrove, with over 30 years experience, owns this business located on Hatfield Road. The shop is light, bright and modern and they use all the latest technology for eye testing. John also creates revolutionary eyewear products under his Style Eyes business. He’s recently created pinhole card glasses which allow the user to determine whether they need to book in for an eye test. Basically if you can see better with these glasses on, you need an eye test! We’ve been working with John to promote these pinhole card glasses and have helped him with his campaign. We already have orders coming in from opticians who want to promote their business with custom branding on the glasses so they can give them out to their current and potential customers.